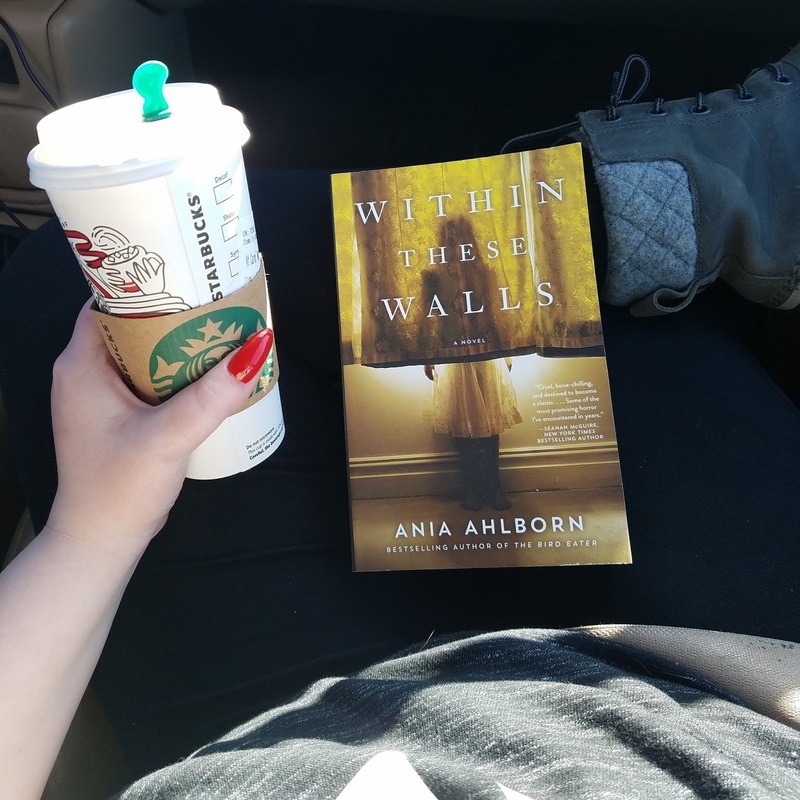 Our November Ania pick is Within These Walls - my second time reading this book and it's just as good as I remembered it to be! Come see what we had to say about this cult thriller. Ah, my Ania reread for November. I first read this book back in 2015 and my feelings are the same. Let's face it, Ania knows how to write a story. I think any of you who have read her work will agree. I love anything cultish and add in a supernatural flare and I'm one happy girl. Imagine being a crime writer and being given the deal of the century. Enter cult leader Jeffrey Halcomb, on death row, giving you exclusive rights to his story. The only catch? You have to live in the house where it all happened. Check, Check. Pack up bags and GO. The book goes back and forth to the past with the formation of the cult to the present with the writer and his daughter living in the house. I much preferred reading about the past and the cult life more than I did with the present and supernatural feel. I think that's just a preference of which kind of story I prefer to read, but I also think the past story was done more seamlessly. The only lulls I felt throughout the story were in the parts with Lucas, the writer, and his daughter. Put the two stories together and we have the promise being fulfilled by the cult leader - eternal life is yours... and that's pretty damn creepy. Keeping my rating of 4 stars for both reads. 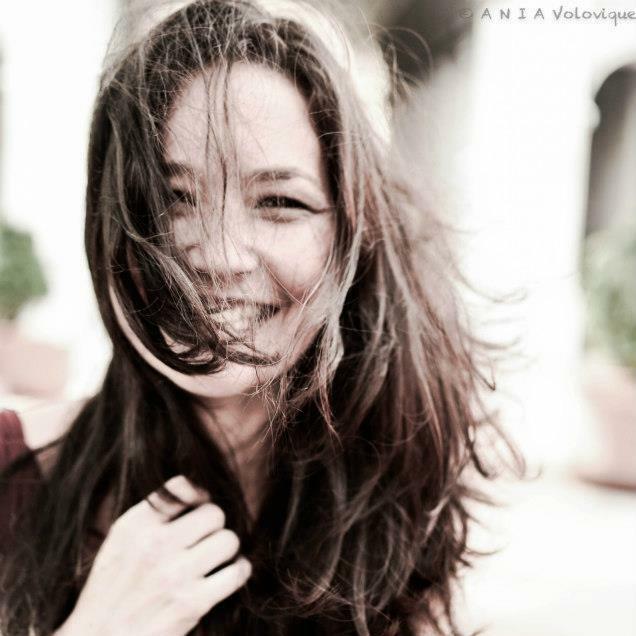 I've been on a roll this month with Ania Ahlborn! This is my fourth novel of hers and I haven't been disappointed yet. 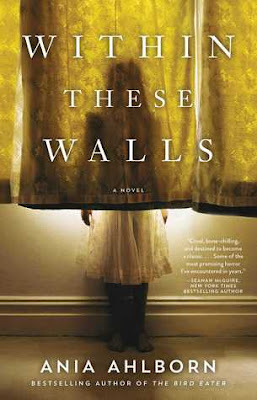 WITHIN THESE WALLS was another creepy and incredibly written horror/suspense novel. And it's about an author - gotta love book themes or authors within a book! Lucas Graham is a crime writer who is looking for his comeback. His life seems to be in a spiral and he's just looking for a break. Well, one day, that break comes in the form of an opportunity for an exclusive interview of a life time. A correctional facility has offered him access to Jeffery Halcomb. Halcomb is the leader of a Satanic cult and has never told his story - which includes murder, the sacrifice of a Congressman's daughter and her newborn, and the ritualistic suicides of some of his disciples. Lucas sees this as his opportunity to find success once again. The timing of reading this book was almost eerie. I got major HELTER SKELTER vibes (a book I read not too long ago, and loved) and with Charles Manson's recent death, this almost felt too perfectly coordinated. Once again, Ahlborn does not disappoint in the creepiness of this story. Halcomb is such an intriguing character and I wish we would have been able to see through his eyes in this novel. We do switch perspectives throughout as well as timelines. The present as Lucas is moving his family into the home that Halcomb lived in (has anyone seen SINISTER?) and then the past but through Audra's perspective (the Congressman's daughter that was sacrificed). If cults fascinate you and you love a little supernatural element to your horror/suspense novels, then there's not question about it, you need to have WITHIN THESE WALLS on your TBR. This one has a slower build to it, but it doesn't lose the interest of the reader. The tension slowly building is what kept me reading. Well, Ania Ahlborn has done it again. I can’t sleep. My mind is racing. And I’m pretty sure I am seeing things in my room. 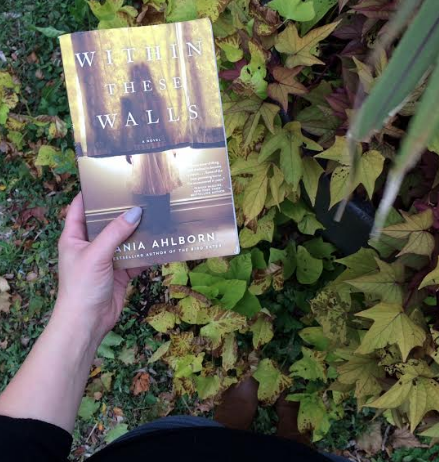 When I was looking for a creepy Halloween read to end off my October reading, I instantly jumped to Ahlborn. I read one of her other novels, Brother, earlier this year and was hooked. Naturally, I picked up a few others and was hoarding saving them for the perfect opportunity. Within These Walls, a psychological and supernatural horror, is a completely original, and frightening, story that will leave you gasping and checking over your shoulder. The novel opens with a letter from a correctional facility. Renowned cult leader, and Satanist, Jeffery Halcomb is trying to connect with a true-crime author (Lucas). He has never spoken out on his crimes before, after being involved in the sacrifice and murder of one of his followers (the daughter of a congressman, Audra/Avis, and her newborn child) and then the suicides of eight others in some sort of ritualistic killing. He agrees to tell his complete story, in an exclusive interview, as long as Lucas moves into “his” home: the scene of the crime. This got me hooked immediately. For starters, cults are both fascinating to me and terrifying! The novel immediately gave me a vibe that I got reading Helter Skelter (about the Manson family murders) or, this summer’s hit, The Girls by Emma Cline. It also reminded me of the movie, Sinister, with the washed-up crime writer looking to revamp their career by moving into a home that was a scene of a crime. I actually really enjoyed the parallels; I felt like it helped to set up the creepy atmosphere even more. The novel is narrated in alternating chapters between the present (as we watch Lucas pack up his daughter, move them into the Halcomb house and begin investigating into the cult and their rituals) and the past (as we see Audra/Avis sucked into the cult and the events that led up to her demise). I loved this narration. Through Audra/Avis’ eyes, we are able to see the slow manipulation as she is sucked deeper and deeper into the cult and we follow the desperation of Lucas, as he grasps at straws to try and redeem himself. It really allowed for the reader to become close to both characters and then watch in horror as everything unravels. As the novel progresses, it develops and introduces some paranormal elements. Yes. As if a cult isn’t bad enough, Alhborn gives us a cult that will come back from the dead to reach its goal. Now, the novel is paced a little slower than I would have liked; however, it does work to build up anxiety and push towards the climax. I feel like maybe if Jeffery, the cult leader, would have been given a perspective in the narration, it would have helped to drive the story a little harder and keep the pace up. Regardless, the concept is creepy. The characters are creepy and I would recommend this book to anyone who is looking for a nice creepy read! 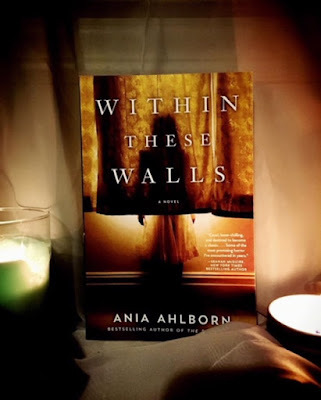 Praise Ania Ahlborn for giving me another story that will keep me up at night!